For Cathy Crowley, the path that took her to the CIO position at Columbia Memorial Hospital wasn’t a typical one. It was the economic downturn that steered her away from consulting and into the temporary position that eventually became full-time, but it was her proficiency for implementations and multitasking that has kept her there. Crowley is leading the way as Columbia Memorial Hospital — a 192-bed acute care facility that includes a long-term care site and several practices — seeks to achieve interoperability despite having three different systems. In this interview, she discusses how her organization has been able to leverage government dollars, the challenges in working with community practices, and the importance of being able to navigate the hospital politics involved in vendor selection. Network and the infrastructure is not my strong suit. I have a very strong expertise with implementation, application support, and project planning, but my background was consulting—not the networking technical aspect. I was very lucky when I came here that I had a brilliant network administrator. I got put on a project here to come in as an acting MIS director for four to six months while they looked for a replacement. I think that’s when I realized that I had more skills for it than I might have initially given myself credit for. In some ways my job is pretty similar to consulting. The one major difference is that you get to thoroughly know everyone you’re working with, so you really understand the culture, and that can be a plus. In consulting, if there were situations that were frustrating, you knew that in another six months you’d be on another project. I think the patient portal is one of those sleeper projects. It can be more complicated than people think, especially for us. We have three different systems and we only want one patient portal. And to be honest, I don’t want to spend a fortune on it. Guerra: Let’s touch on a few more things. I was looking online at some of the stuff you’ve been up to, and two vendors came up both around desktop virtualization: VMware and Stratus. 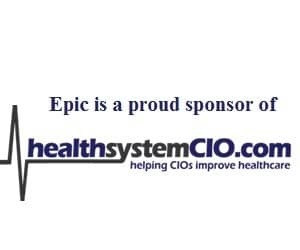 You talked about that a little bit, and it made me think that maybe some people at ONC are under the impression of why can’t everybody just buy an EMR, and they just don’t understand what it takes to put in infrastructure and supporting technologies around the EMR so that it’s usable. So first you go to VMware and then you need Stratus to support the VMware environment, but it just seems like it’s one thing after another in order to create an environment where people will actually use the EMR. Crowley: Correct. Well that’s actually challenging area for me, because network and the infrastructure is not my strong suit. I have a very strong expertise with implementation, application support, and project planning, but my background was consulting and really Meditech—not the networking technical aspect. I was very lucky when I came here that I had a brilliant network administrator. But when I first came here we actually were on NT; that was in 2008-09. So one of the first projects we had to do was put in a new data center and upgrade to blade technology. We were so far behind. There were people who would just look at me when I’d say, ‘We’re still on NT.’ They’d say, ‘What do you mean you’re still on NT?’ And I’d say, ‘We are.’ The advantage of us being so far behind is that when we finally were ready and able to upgrade our network, we were able to get in on the ground floor of VMware. If we hadn’t been able to do that at the time, and we had a bond—because we had said we can’t go any further if we don’t upgrade our network, it’s kind of the bottom line. So they did go out and get a bond and get us money for the network, and that’s where we’ve put in the blades and started to put in VMware. But it would be a challenge if that wasn’t in place for us now to try to go get funding for it, because there’s so many things that have financial demands right now. So he gave me his card and I put him in touch with my network administrator and we then added them to the list of vendors that we looked out for hardware and they just have some fabulous functionality. But really, I’m very lucky that I had a network administrator who’s just so strong in that area. In a sense we have what’s considered a private cloud here because we host two different community practices on our system. Actually, we hosted three—two of them now have actually joined the hospital but they’re still on their own database because trying to do a data conversion is whole other project it itself. So we do support those three practices and they dial in a sense or have connectivity into us in their databases. So for them they’re considered on the cloud with us. Guerra: You mentioned having a strong network administrator, and that that is not your strong suit. Every CIO has a different mix of skills. Some have clinical skills, some have technical skills, and most have skills in computer sciences and technical aspects. You’re strong in project management coming from the consulting world. So that’s important. Was that important to you when you decided to take this job? Did you want to make sure you landed somewhere where there was a strong network person or someone strong on infrastructure? Crowley: Absolutely. I don’t think I would have taken the job if I didn’t have confidence that I had somebody who really knew that stuff. The first time I met him, he went in and started showing me one of the closets and his eyes lit up when he started talking about all this networking stuff. I was like, I don’t really understand, but I’m getting about 10 percent of this. But luckily, we’ve been able to communicate really well. So that’s a benefit. If we didn’t have that relationship and he wasn’t so strong in that area, I don’t think we would be where we are today—or I would not have been the right fit for this place. Guerra: Right. So when you interview, you certainly want to have full disclosure and talk about your strengths and weaknesses so that you set up for a successful environment, right? Crowley: Correct. And I actually was a consultant here for the first six months. That’s how I ended up in this position. So I knew that I was already comfortable with that piece. Because otherwise, during an interview, I’m not sure how you could really get that comfort level. And I don’t know if I would tell you that I initially had seen the CIO position in my future. Guerra: I was going to ask you about that. You spent 10 years in consultancy—first a little bit with Meditech, and we’ll talk briefly, but 10 years in consulting before taking the position at the hospital three and a half years ago. Why did you decide at that point to get out of consulting and sort of settle down in one place? Tell me about making that decision. Crowley: When I made the decision, it was in 2008, and as I’m sure you’re well aware, at that time the economic situation was getting quite tight and consulting was taking a hit. It was before Meaningful Use kind of ramped things up again—there was an in-between period. I had worked for the First Consulting Group for about 10 years and then they merged with CSC, which is a very strong, viable company, but it was a very large company. I wasn’t sure that I really loved the huge corporate structure, so that was something I was looking at. As I said, with consulting, there were a lot of concerns about what the employment picture was going to be like for the next couple years. And I thought, well, I guess it might be an interesting change, and again, I’d done consulting for 10 years—there’s a lot of full-time travel in consulting. So it was a good time to get away from that, and I thought maybe that’s a great way to round out all my skills. First I had the vendor background then I had the consulting background and the project planning. And within all those projects that I had been an acting MIS director at Lucille Packard Children’s Hospital for two years, so I had some operational background, but I thought this would give me a great avenue to really round out all of my skills kind in the healthcare arena. Guerra: It sounds like you enjoyed the consultant lifestyle for a while—were you kind of ready to go, or was it mostly the economy and the change of business climate? Crowley: Probably more the economy. That was probably one of the biggest things, but some of it was the travel. Travel is not nearly as fun as it was 12 years ago. I was lucky—for me when I travel, it’s the same place every week. That’s helpful because you really can get into your routine. I handle travel fairly well but I’ve gotten a little burned out with it. Guerra: How would you describe the difference in settling down at one place now for three and a half years versus going constantly to new engagements? I would imagine there are positives and negatives in terms of the adjustment. Crowley: Yes. What I do love about my job and what I find, kind of like with consulting, is that there’s so much going on—there’s so many diverse projects right now that there’s no way in the world you can get bored. So if I was somewhere where there really weren’t many projects going on and you were just maintaining the system, I think I would want to go back into consulting. But there’s just so much to keep you thinking about different things and taking on new projects and saying, ‘how would I do that or how would you put that together?’ Right now, we’re looking at trying to go for Meaningful use for OUR ambulatory care providers and Meaningful Use on the inpatient side. At the same time, we’re putting in and setting up a whole urgent care center. We’re adding in a new pediatric practice. We’re upgrading our PACS machine. Then we have all the application projects that we’re doing—CPOE and provider documentation and what we’re going to do about the patient portal. And let’s not forget, of course, the ICD-10s and the 5010s. So right now I will tell you in some ways my job is pretty similar to consulting. The one major difference—and this has its plusses and minuses—is that you get to thoroughly know everyone you’re working with, so you really understand the culture, and that can be a plus. In consulting, if there were situations that were frustrating, you knew that in another six months you’d be on another project. So there are pluses and minuses on that. Guerra: How was your experience at Meditech? You spent about nine years there—how has experience helped you in the CIO role? Crowley: I think I understand how to work well with a vendor. I think I have a good rapport of knowing when to escalate things, when to say, ‘Okay, it might only be every 18 months, but we need to sit down and have a strategic review of what we are going to be doing with Meditech.’ It still helps that I know people there fairly well because I tend to go back for different events. So if there really was something that I had an issue with, I could call somebody else up to direct me. I understand how their support system works, what their DTS is, and how they test things. So those the positives of how it helps me—knowing that, let’s say, you want to make sure you stay on their upgrade with or understanding how to utilize their website and the seminars that are coming up. Guerra: Right. Is there anything else you wanted to touch on? I think I’ve covered most of the issues I wanted to hit. I wanted to make sure that if there’s anything you want to discuss, we touch on it. Crowley: No, I think we discussed most of the major kind of challenges and focuses that we’re doing here and that we’ve done in the last two to three years. Guerra: Well, let me ask you the final question. And forgive me if you mentioned this, but did you attest to Stage 1 yet? Crowley: We did for the inpatient side. We need to have a celebration for that. But yes, we attested in October for 2011 on the inpatient side. Some of our providers have attested on the ambulatory side and we’re still trying to get a number through in the next six to eight weeks so they can attest for 2011 on the ambulatory side. Guerra: So now you take a deep breath and see what they come out with for Stage 2, right? Crowley: Yeah, but you know, we’ve been trying to make sure we maintain and stay where we are. That’s a challenge, and are they going to delay Stage 2? Everything points to that, but it’s still never been written in stone. To get to Stage 2 is really going to be a challenge. I think they really are going to up some of the demands, so I am starting to already look at things. I think the patient portal is one of those sleeper projects. It can be more complicated than people think, especially for us. We have three different systems and we only want one patient portal. And to be honest, I don’t want to spend a fortune on it. So what system do I use? Can I use the portal that comes with eCW and send the CCD from Meditech over the eCW? Will that then give the information that they need so we would have that in the eCW portal? How do I get Allscripts data in there? Then you have to train all the staff on the patient portal because the patient then could up come in and ask any provider, any nurse, or any office staff what happens when data is different. What if they want to pay billing and it’s from a different office? So that project I think a lot of people maybe aren’t thinking about all that much, but I think it can have a lot more to it than it may look like on the surface. Guerra: All right, Cathy, that’s about all I had for you today. I think it was a great interview and I want to thank you so much for your time. Crowley: Okay, thank you very much. Guerra: I’ll talk to you again soon. Have a great day.